The difficulties of getting a foothold in the industry are well documented. Land, labour and finance are all major challenges that Maighread Barron, a 25-year-old dairy farmer from Ballinamult in Co Waterford, has had to overcome in the past 12 months. 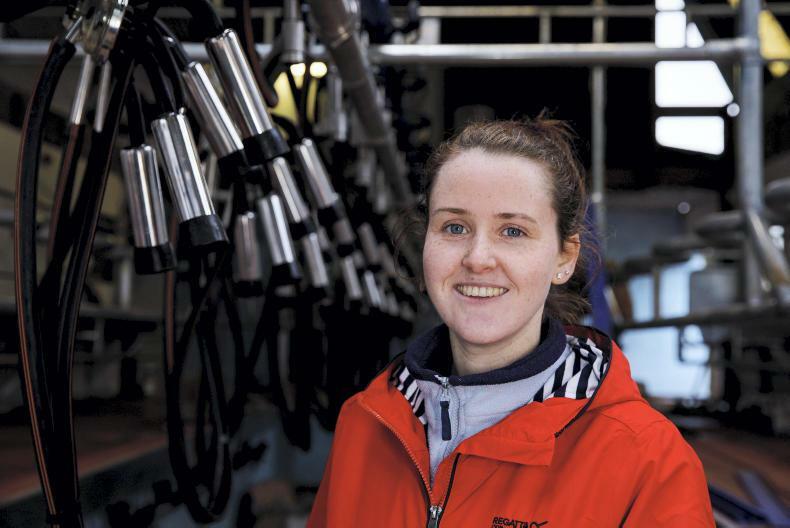 After finishing her dairy business degree in UCD in 2016, the plan was always to forge a career in the dairy industry. “When I finished college, the plan was always to go into partnership or potentially lease a farm down the road at some stage. "Everything just happened much quicker than I thought it would,” Maighread explained. “There was the opportunity to go into partnership on the home farm with my parents and brother, but working with family presents its challenges and I wanted to have my own authority. However, after working on local dairy farms for a few months she began to give the idea of leasing a farm serious consideration. "It was at this point that a 100-acre dairy farm came up for lease in Clonea, Co Waterford, 30 minutes from home. “We went down and met the farmer and the thing he was most concerned about was would the person coming in look after the place, and it seemed a good fit,” Maighread explained. With land very slow to move hands in that part of the world, the decision was made to take the block on a 15-year lease at €280/acre. There were considerable challenges when it came to accessing finance, which Maighread admits she wouldn’t have been unable to overcome if it wasn’t for her parents support. “I didn’t know how the banks worked and had nothing of my own to back me up when it came to securing a loan,” Maighread said. The farm was an active dairy farm, so in general facilities were in good order. The main addition was a new 12-unit DeLaval milking parlour which will be commissioned in the coming weeks, with cows due to calve down in the second week of February. “The old parlour was there for 30 years but I knew I would have to struggle through it for the first year until I started generating cashflow,” according to Maighread. Starting out any business at 25 can be a difficult endeavour and that is no different with farming. 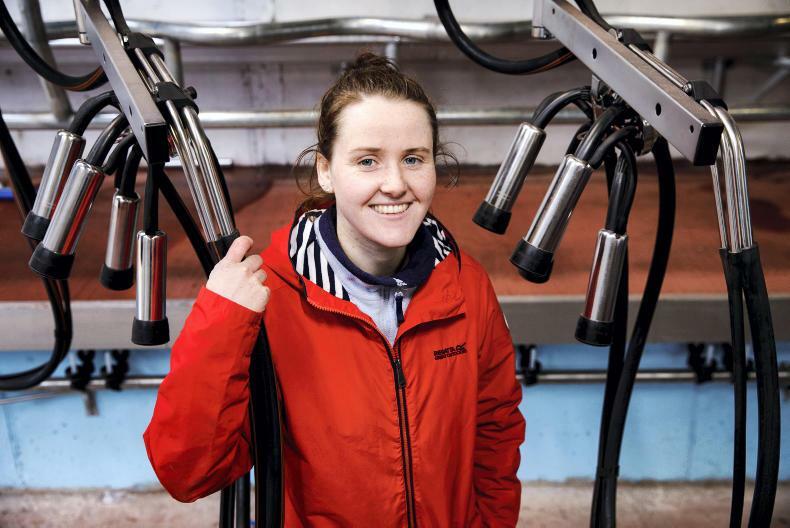 Having to milk morning and evening means that you have a lot of responsibility on your shoulders but Maighread doesn’t see this as an issue: “I probably have more free time now than I ever had. I can go anywhere during the day if I need to for an hour or two, if I get the work done. If you are working as a farm manager then you have to stay around for the day, even if it’s a quiet time of the year. Maighread believes it is important that you don’t let the farm overcome you. “If you want to go out on a Saturday night, then you can go out and enjoy yourself but you know you will have to get up the next morning. Maighread will be one of a number of speakers on the Farming Space stage at the Agri Careers Expo who will be talking through the challenges and the opportunities that face young farmers. A number of roles have come available in the Department of Agriculture, Food and the Marine, which will be advertised at the Agri Careers Expo on 14 February in the RDS. The Department of Agriculture, Food and the Marine is to recruit up to 60 new people this year, including veterinary inspectors, assistant agricultural inspectors, general operatives, craftspeople and harbour masters. 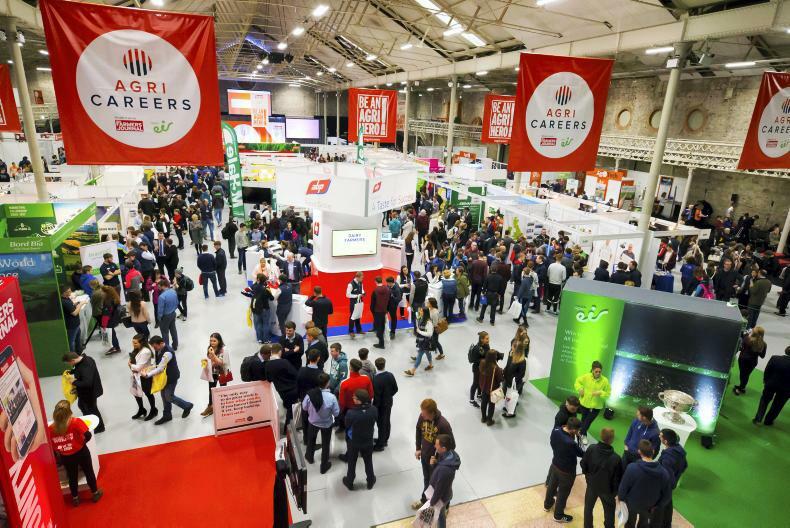 Competition for these roles will take place in 2019 and will be advertised at the Irish Farmers Journal Agri Careers Expo on 14 February at the RDS. “Further positions will be advertised in response to evolving business needs as they arise, most likely in the areas of engineering, forestry and veterinary research,” a spokesperson confirmed. Pat McDonagh of Supermac’s is the main speaker on the day. 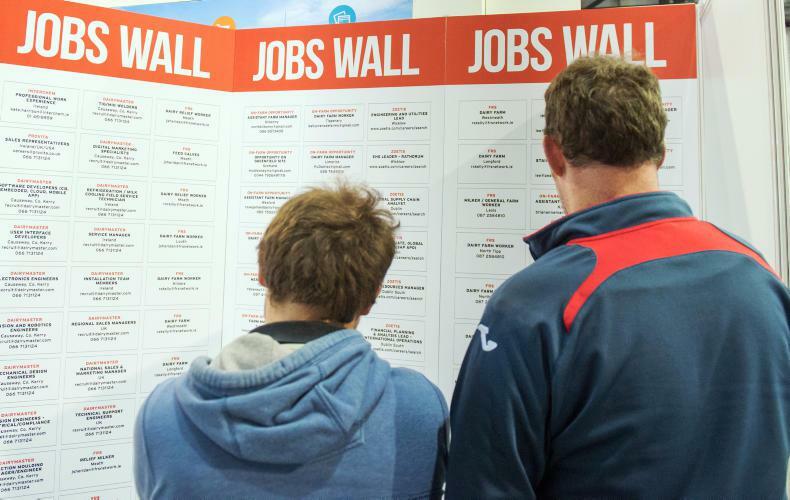 Some 1,165 jobs have been confirmed across the 50 organisations exhibiting at the Expo. Recruiting companies include Glanbia, Kerry Group, Dawn Meats, Dairygold, Devenish and Zeotis. Teagasc also has a number of roles to be filled, including 13 full-time positions and up to 50 Walsh Fellowships. In addition to the jobs available at the Expo, the event will focus on career progression and informative talks, with over 65 speakers hosting talks in five hubs.